I’m very pleased to see that cities and town with access to Danube are expanding their tourism offers. This year, from 24th to 26th July, Golubac, a city in eastern Serbia, is hosting a Danube fair. This etno-event will cover smaller venues that will offer local food (especially the fish stew), traditional artwork and crafts, as well as folk music, all with the common theme of Danube. I personally love Danube, because I grew up with this mighty river. 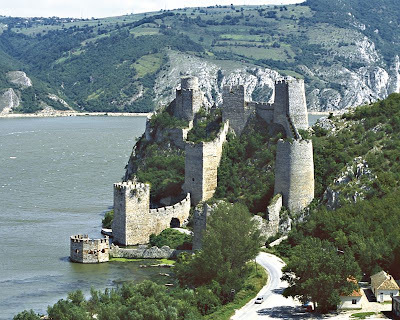 But Golubac, located just before the Djerdap National park is truly a spectacular sight. There, Danube widens drastically, and is a great spot for waters sports like sailing. If you didn’t visit Golubac or Djerdap, Danube fair is a perfect opportunity to change that and enjoy on of Europe biggest rivers in its true glory. Zdravo! Postavila sam link ka tvom blogu, bila bih ti zahvalna ako bi mi uzvratio linkovanje.